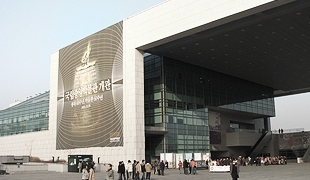 There used to be a National Museum of Korea until 1993 located here, but now the National Folk Museum is located here. The museum studies, preserves, and exhibits artifacts related to the lifestyle of Korean ancestors, as well as those related to Korean current daily lifestyle. The various educational and research programs that are offered at the museum: simple lectures on traditional maedeup (decorative knots) and crafts for children, families, and foreigners, as well as professional courses to help foster museum experts. This museum has 6 permanent exhibition halls, and displays some 13,000 artifacts. It provides video and audio guide services, as well as viewing directions, for visitors to be able to plan their viewing of exhibits. Visitors may choose from one of the museum’s recommended viewing courses. It is quipped with various facilities such as souvenir shops,a library, cafeteria, café, special performance venue, and theater. This museum showcases materials and information on Korean history and culture, ranging from the prehistoric period to now. 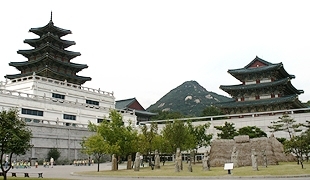 Seoul has been the country’s capital for 600 years. As a museum in a capital that has such a long history, this museum has various exhibits and content comparable to other prestigious museums around the world. It operates an open-type system unlike other museums that have closed-type exhibition spaces and halls. It displays reproduced artifacts to offer experience-centered exhibitions, and operates a touch museum corner for visitors to get information via videos as they personally touch the screen. 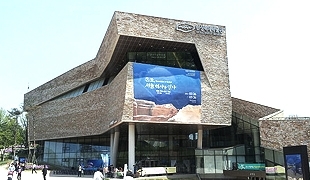 The Seoul Baekje Museum effectively studies, manages, and investigates relics and artifacts from Seoul by establishing the cultural identity of the 2,000 year old ancient capital city of Seoul. The museum has established a foundation for attracting foreign and domestic tourists by systematically exhibiting excavated relics and preserving the historical characteristics of Seoul. 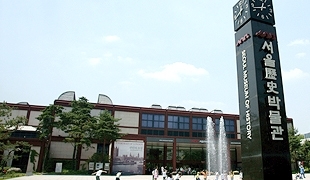 It operates cyber museum for visitors to view the history of Seoul anytime they want to.